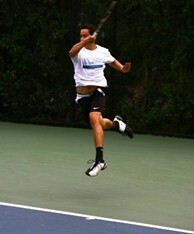 The Beacon High School boys’ tennis team continued its outstanding performance this year, winning its fourth straight Public Schools Athletic League (PSAL) Class A championship in May, and regaining the Mayor’s Cup -- the largest All-Scholastic Tennis Tournament in the country -- in June. The team featured the experienced leadership of seniors Jeremy Schur and Quinton Vega, junior Christian Waldron, and three powerful freshmen: Lucas Pickering, Richard Sec and Win Smith. The seniors provided a great example for training and stretching before matches, said Faithfull, while the freshmen were hungry to improve and try to beat the older players. That support came through clearly in April when the team tied for first in the New England/Mid-Atlantic (NEMA) tournament in Maryland-a tournament that brings together many of the best teams on the East Coast. 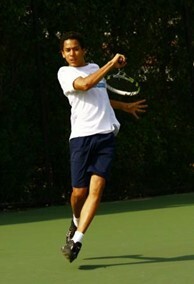 For more information about the Beacon School and its tennis team, check out www.beaconschool.org.